Stephen R. Cochell started his legal career as a Lieutenant Judge Advocate (JAG) for the Navy as part of the Trial Defense Counsel. Mr. Cochell toured to Pearl Harbor, Hawaii, Yokosuka, Japan, and Washington D.C. during his four years as a JAG. 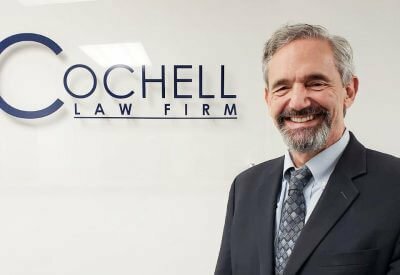 Mr. Cochell spent two years as an Assistant United States Attorney for the Eastern District of Michigan in Detroit, Michigan, focusing on tax and public corruption under RICO and the Continuing Criminal Enterprise Statute. Next, Mr. Cochell moved into private practice at Wise and Marsac in Detroit, Michigan. He practiced product liability defense, employment litigation, insurance coverage, and other matters relating to commercial litigation. Steve then moved to Utah with his young daughter and became Chief Disciplinary Counsel for the Utah State Bar. Here Mr. Cochell provided advice and counsel to the Utah State Bar Commission regarding disciplinary policy, employee matters, drafting of disciplinary rules regarding trust accounting reporting and providing continuing legal education to Bar members and trial of attorney discipline matters in state district and appellate courts. Mr. Cochell then moved to Memphis, Tennessee to become part of the in-house counsel at FedEx. He served as lead trial counsel in major labor and employment matters, commercial, business tort, and intellectual property matters. Prosecution of a complex trade secrets case against UPS and Fritz Companies, assisted management in formulating an administrative and litigation strategy to address disputes with the Department of Transportation (“DOT”) arising under the Air Carrier Stabilization Act and also served on the defense team defending the Postal Service’s award of the $7.2 billion contract to FedEx. Finally, Mr. Cochell began his career in Houston, Texas, taking a partner role at Epstein Becker Green Wickliff & Hall. There, he represented business clients in labor and employment cases, including class action and collective action litigation as well as non-compete, intellectual property, commercial, business tort, and product liability actions. Steve started his own practice in 2010. Georgetown University Law Center L.L.M., 1983 Washington, D.C.